For months, I've been seeing Deeper We Fall on other blogs, on Amazon, on Goodreads....all over the place, so I jumped at the chance to be a part of its blog tour. I thought it sounded fantastic, and I wasn't disappointed. 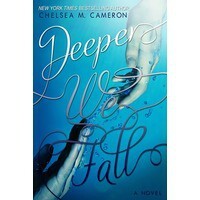 :DThe best part of Deeper We Fall was the characters! Both Zan (Alexander) and Lottie (Charlotte) were amazing characters and I loved getting to read the story in both of their points of view. :D I also loved their names...I'm such a sucker for great nicknames and Zan and Lottie were good ones! :D Their friends were also amazing...honestly all of the characters except for Zan's brother Zack were fantastic characters, and I loved the friendship between them all. 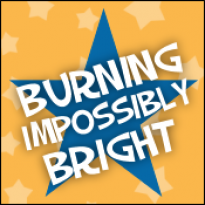 Chelsea Cameron did an amazing job developing her secondary characters while still giving enough attention to Lottie and Zan, and I absolutely loved that...it also makes me super eager for book 2, Faster We Burn! :DThis book was mostly about internal struggles, and struggling to cope with the past and move forward. I really enjoyed seeing Lottie and Zan's relationship change and I loved how they helped each other heal. The only thing that kind of bugged me was when Lottie tried to keep Zan away...more than once. :P It was pretty much the only thing that bothered me throughout the whole book though, and thankfully it didn't last the whole book. :P hahaOverall, I really enjoyed Deeper We Fall. I thought the characters were amazing, and I loved the developing relationships between the main characters, Zan and Lottie, but I also loved the ones between the secondary characters. :D I'm definitely looking forward to reading more books from Chelsea Cameron because she does an amazing job at developing characters that you genuinely care about, and while the struggles got on my nerves at times, I still absolutely loved the characters and was rooting for them to finally be happy together. I'd recommend this one to those wanting to try something in the New Adult genre, and to those that enjoy character-driven plots and romances with happy endings. :) * This review is also on my blog and other social media sites. * I received a copy of this book to participate in a blog tour and give an honest review.